While I normally prefer formatting my query results in a downstream app/reporting layer, sometimes I can’t get around adding some business formatting logic to my SQL queries. Today I want to show you four different ways to conditionally output rows of data based on a SQL query. 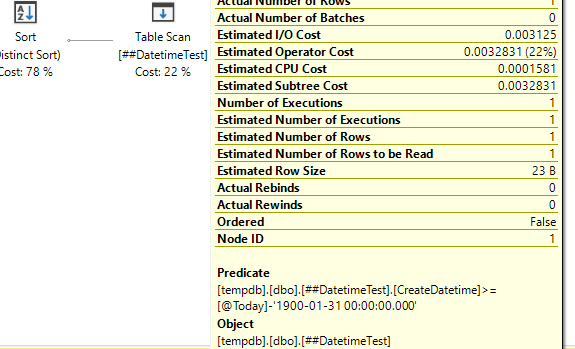 (Note: if you ever need to know whether the seconds part of the current time is divisible by 3 and 2, use SELECT IIF(DATEPART(second,GETDATE()) % 6 = 0,1,0) and not this monstrosity of a query I’m creating to demonstrate a scenario when you dependent derived table logic). Sometimes we may want to force certain scenarios based on the output of the query above. Here are few common patterns that I find myself doing when needing to meet certain business requirements of queries to return data conditionally. We can limit our query to return TOP 1 and then add an OrderPrecedence column to determine which query result row to return. If our original query has a row of data, it will be returned because of it’s OrderPrecedence. If our original query returns 0 rows, our fall back UNION ALL default value of -1 will be returned. What about a situation where we want to return a row when AreSecondsDivisbleBy3And2 is equal to 1, but no row when it is equal to 0? In this scenario, we return a row when our value is 1, but do not return a row when the value is 0 or our derived table doesn’t return any rows. We use an INNER JOIN to filter out the row value that we want to return 0 rows. In this scenario we want to return no rows when AreSecondsDivisibleBy3And2=1 and a row when its not. I’ve never had a real-world use for this one, but it’s essentially a combination of the first two solutions. This one is by far the most difficult one to logic through, but it’s a pure reversal of return no rows when rows are present and return a row when no rows are present. Since 1=0 will never be true, your query will never return any results regardless of what kind of logic is happening in your SELECT or derived table.